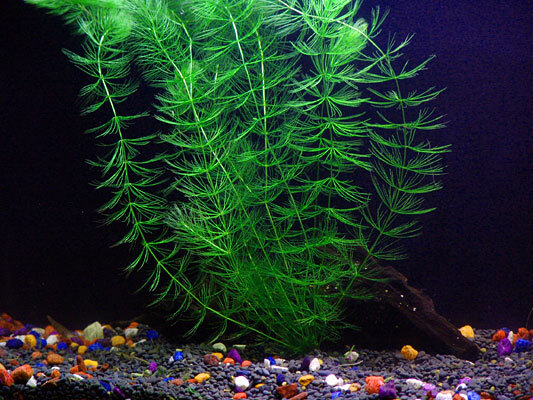 The hornwort also known as coontail is a popular plant used as an oxygenator by pond keepers. The leaves resemble those of a pine tree and they absorb nutrients through its stems without any roots. In ideal conditions, the hornwort will grow up to 2 feet in lenght and will form a mass of stems. They can be planted in soil or they can be left floating. The hornwort will tolerate cold water so it is suitable for ponds in colder regions.